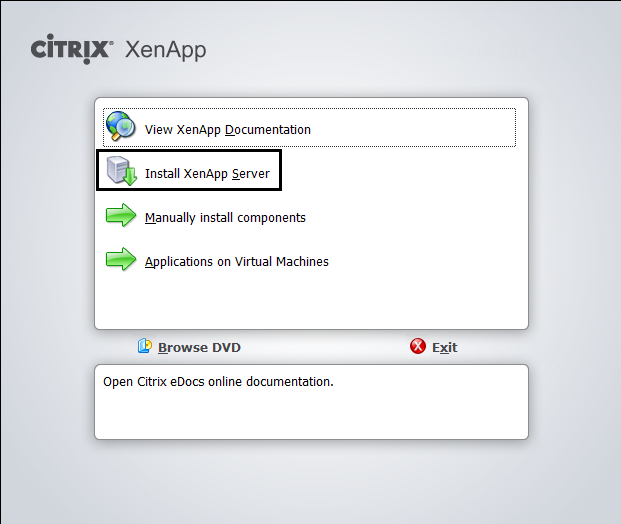 This is a step-by-step guide on how to install Citrix XenApp 6.5, in this guide we will go through the installation of the first XenApp server in a XenApp 6.5 farm. 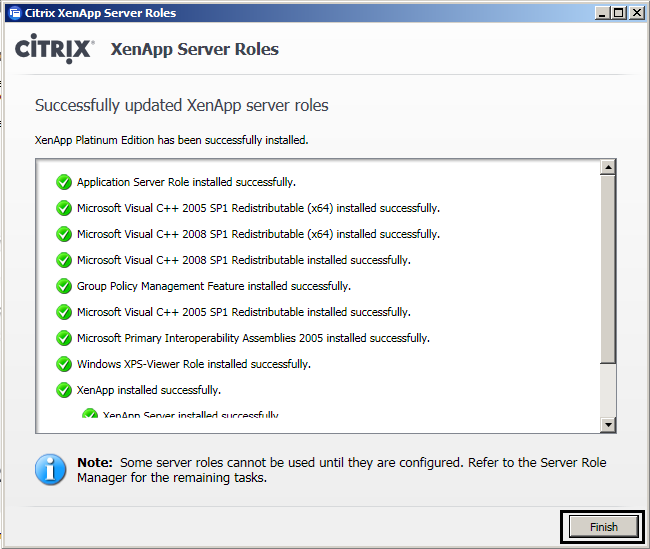 We will also install the different infrastructure servers required for a XenApp 6.5 farm installation. 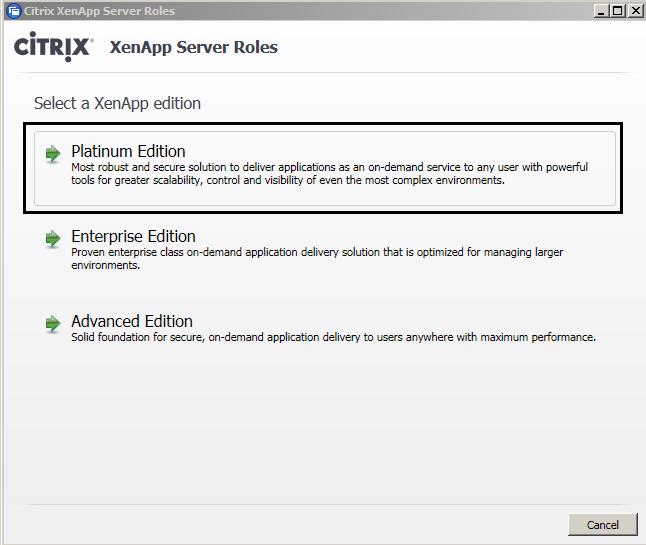 Citrix XenApp 6.5 for Windows Server 2008 R2 is an on-demand application delivery solution that enables any application to be virtualized, centralized, and managed in the datacenter and instantly delivered self-service to users anywhere, on pretty much any device. 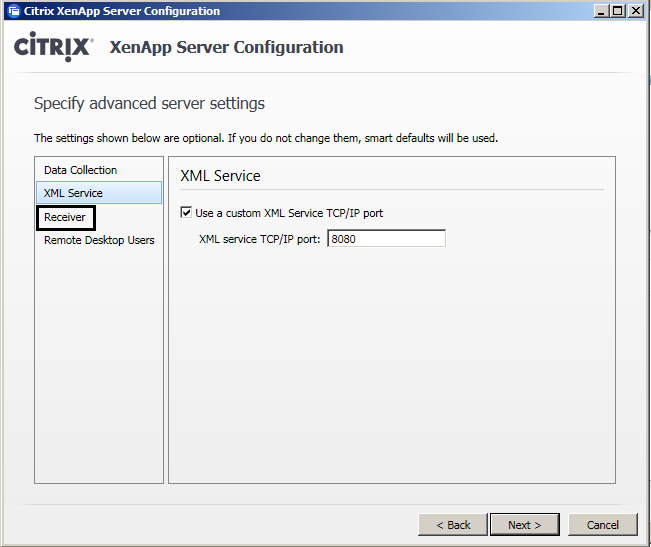 Basic XenApp terminology and infrastructure were explained in this blog post. We are going to perform this installation on LS01. Just click the links, and you can view the blog post, which details the installation of the different components. 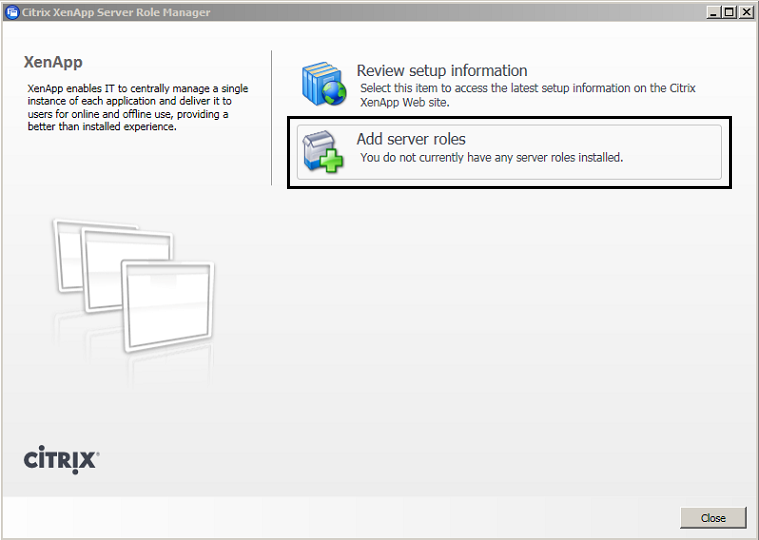 1.1 Installing Remote Desktop License Server. 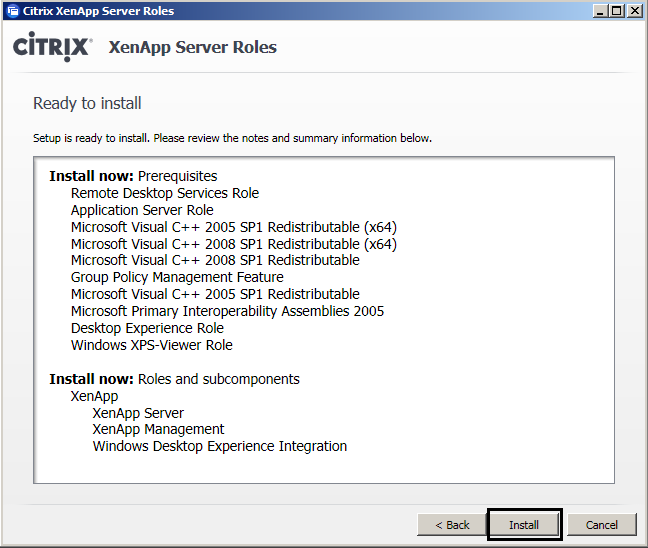 Install it completely as outlined in the blog post. But if you are just going to build a test lab, you obviously don’t have to Install RD CALs. 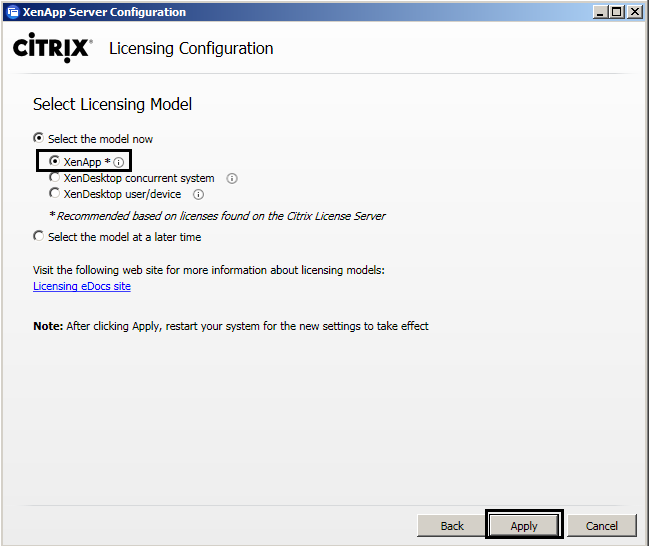 3.3 You will be prompted to install .Net 3.5 SP1, just click OK. Citrix XenApp Setup will automatically install it for you. 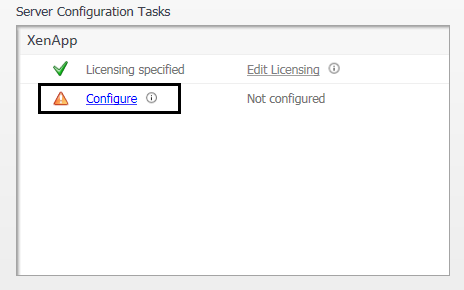 3.6 Accept the license terms and click next. 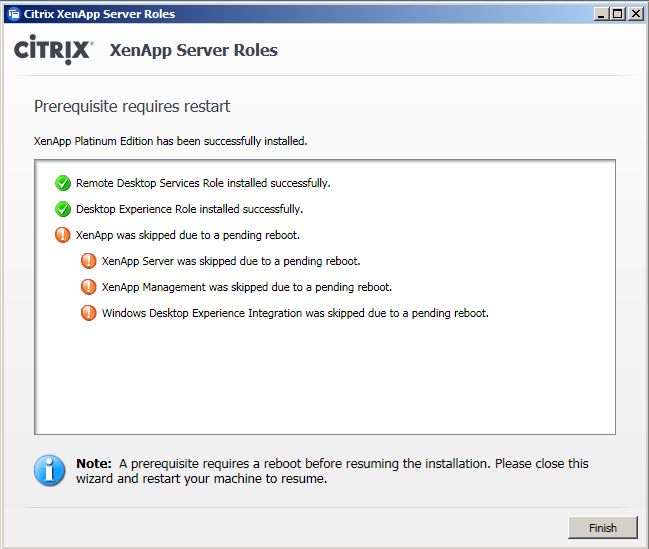 3.10 As you can see, installation of the prerequisites will also require a reboot. 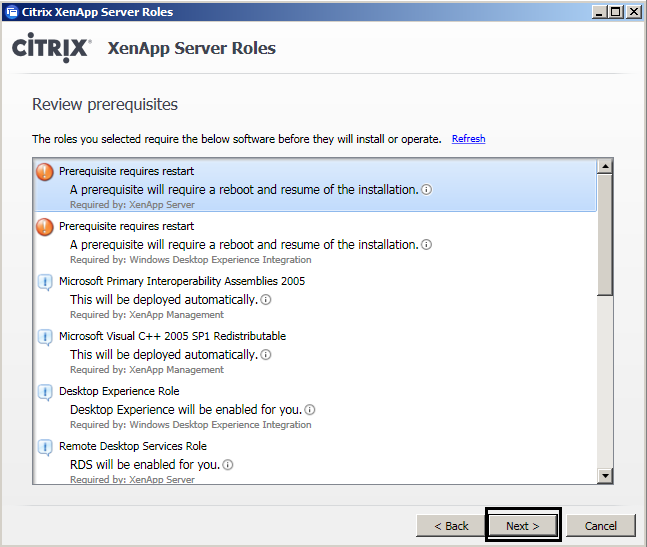 Just click Next, and then click Install to start installing prerequisites. 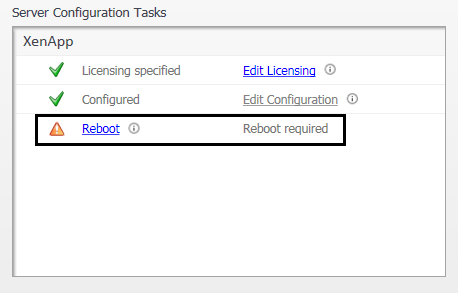 3.12 Click Reboot, and answer Yes on Restart Confirmation prompt to reboot the server. 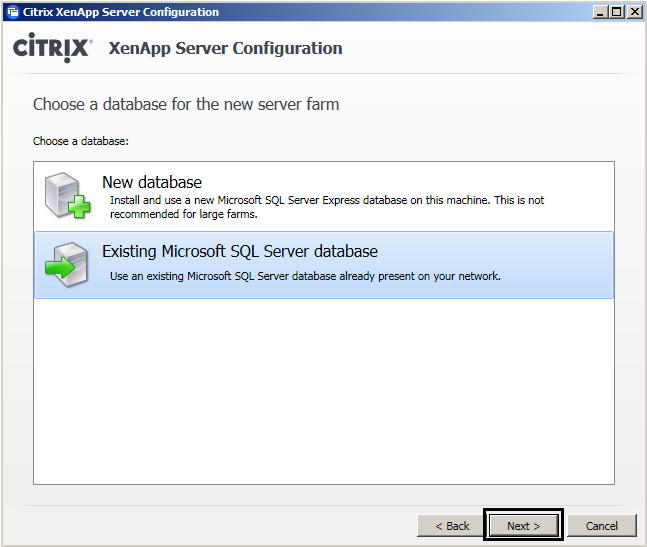 3.13 Log on to the server again, and the installation will resume. 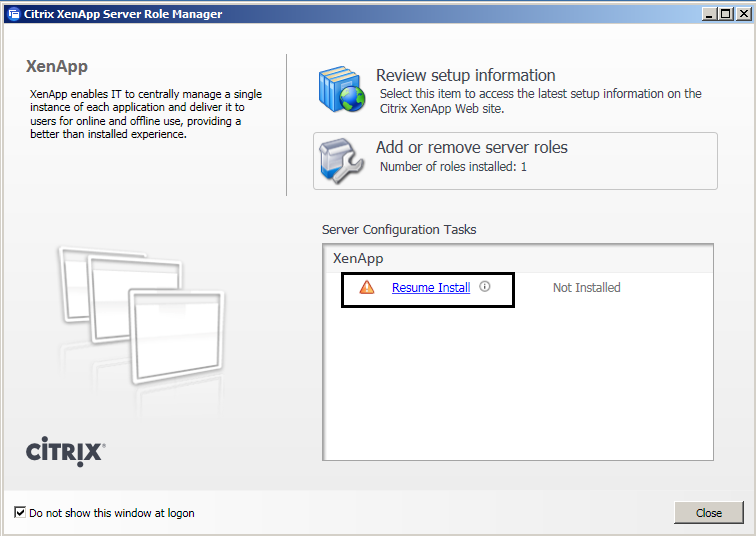 If it does not, just start the XenApp Server Role Manager from the start menu. 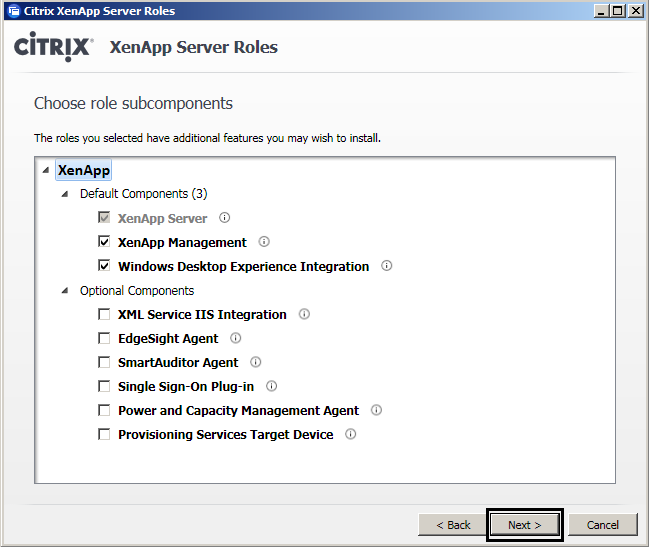 Then click Resume Install. 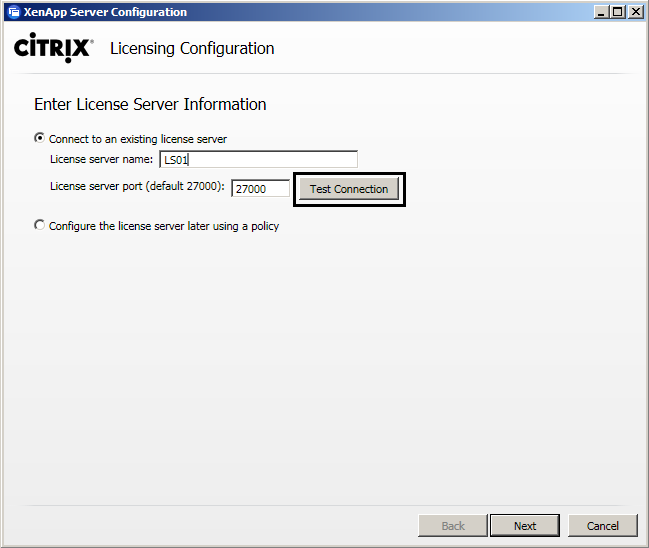 3.17 Specify name of the License Server, and which port you are going to use to communicate with it, then click Test Connection, to test the connection. 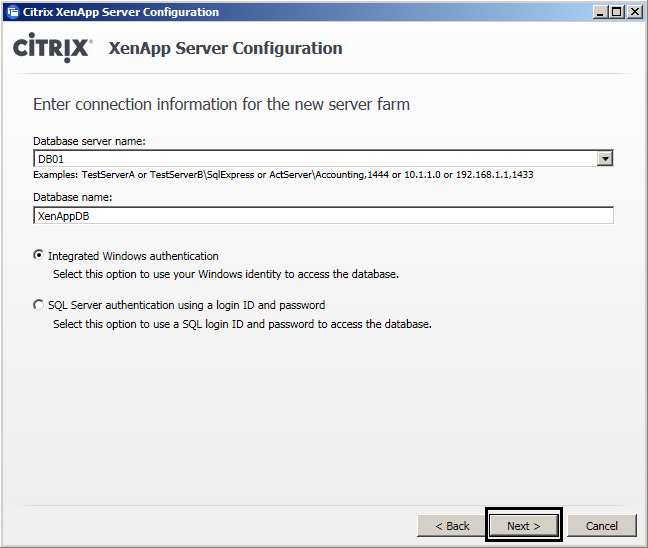 3.22 Give the farm a name, and then choose the first administrator account for the farm. 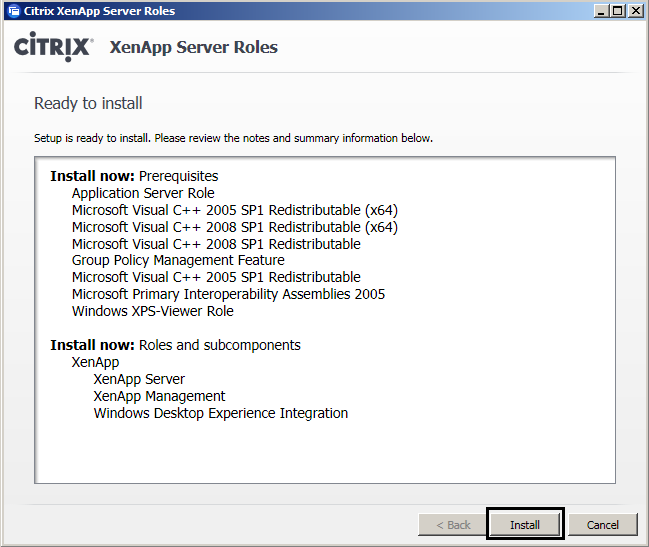 The user performing the installation, will by default be the first administrator. 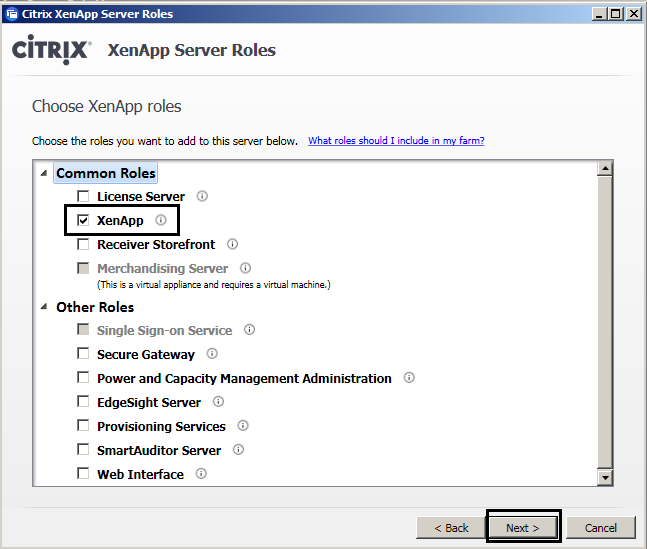 You can change it here if you like, and you can obviously add more administrators later on. Best practice is naturally to add groups and not single users. In any case, click Next when you are done. 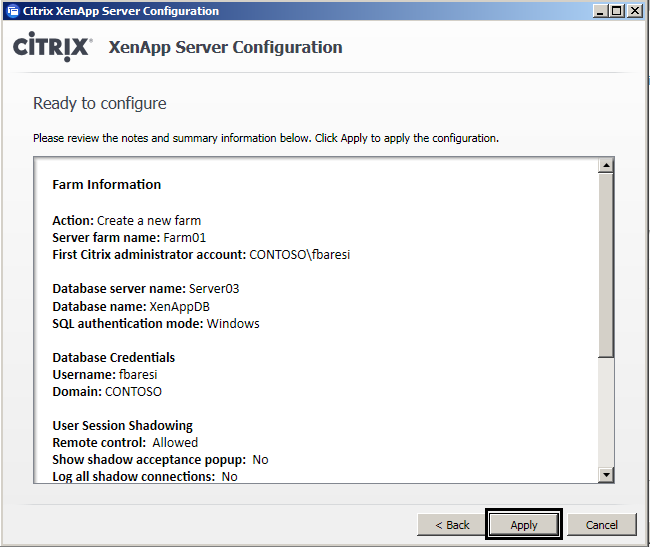 3.25 Enter credentials of the user who will authenticate to the data store, then test the connection. 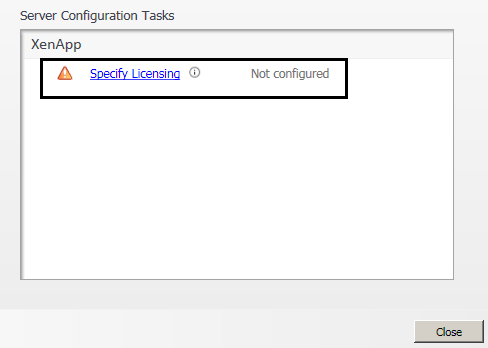 Verify that the test completed successfully, then click Next. 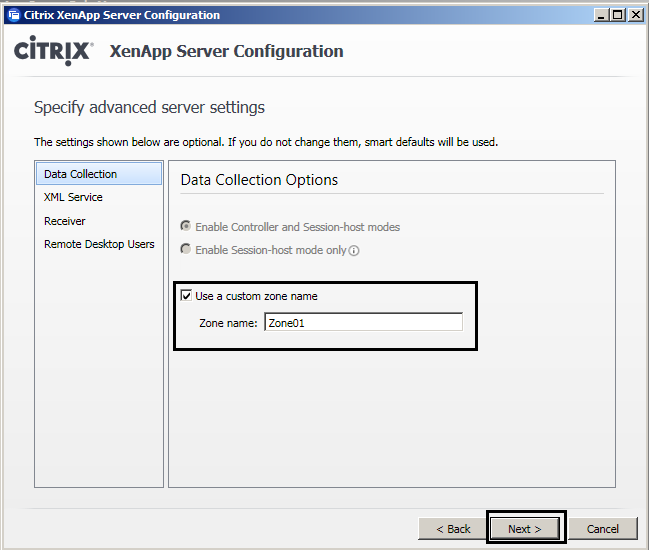 3.26 Keep the default configuration here, and click Next. 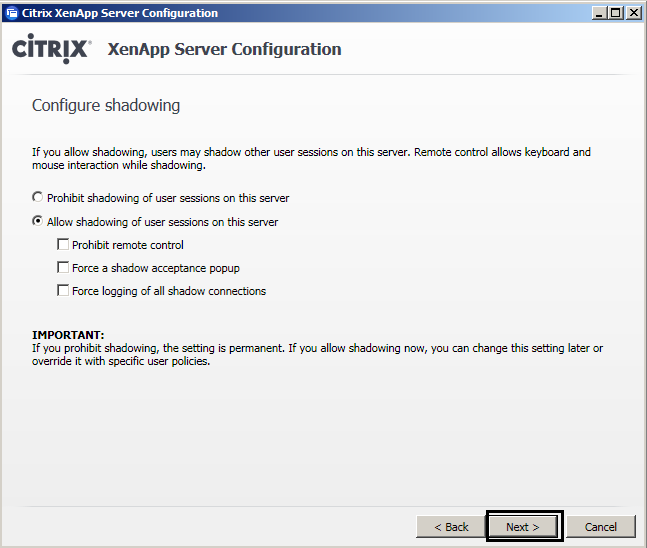 Remember that if you prohibit shadowing here, the setting will be permanent, so it’s best to allow it during installation, and then override the setting later with policies, if you don’t want to allow shadowing. 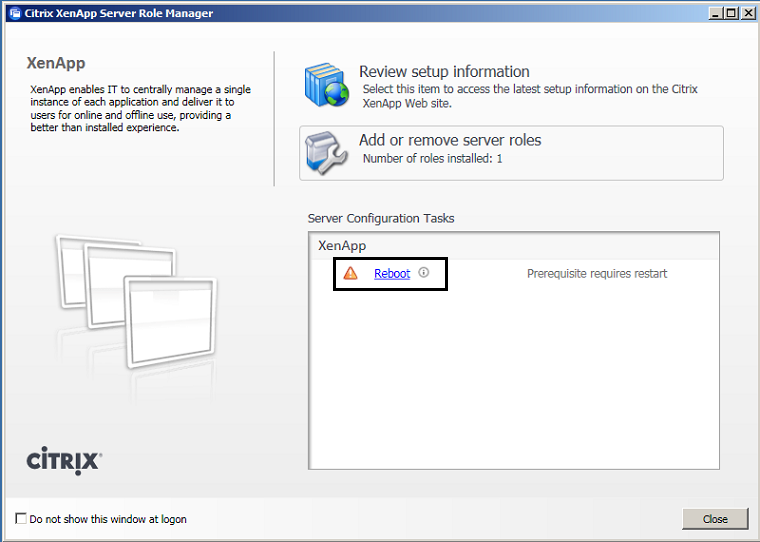 3.33 Finally click Reboot, to restart your XenApp server. 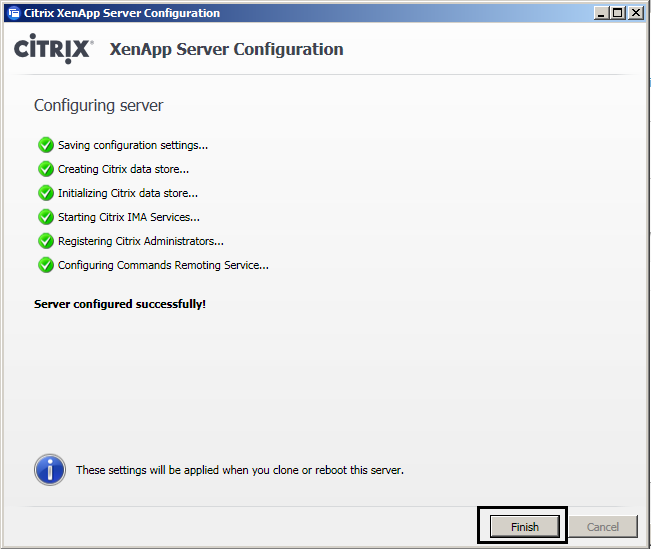 This concludes the installation of the first XenApp server in a XenApp 6.5 farm, and the installation of the different infrastructure servers required for a XenApp 6.5 farm installation. 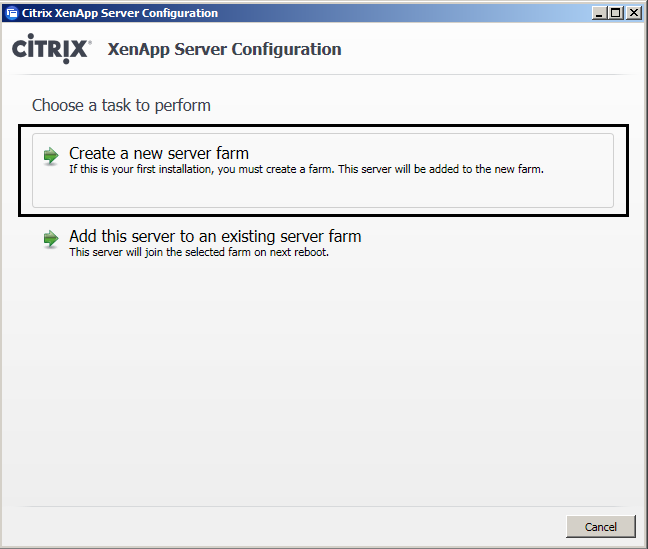 In a future blog post, we will look at the initial configuration of a XenApp 6.5 farm.